Are you constantly submitting your homework late? Do you never seem to get enough time for your hobbies? You are left with no free time because of homework? Perhaps it’s time to learn a few homework hacks that will help you complete all of your school projects faster. But be aware that these homework tips will not do miracles for you. You will still have to dedicate enough time to each and every one of your assignments. However, these homework hacks will show you how you can complete your school chores faster and better. Because let’s face it: college students are burned out. They are not able to cope with all the writing assignments they receive. They are unable to finish their homework on time. And they are getting penalized – harshly. This can change; you just need to know how! Some may ask why they need to get homework done as fast as possible. After all, they are somewhat able to complete each assignment on time – more or less. They are satisfied with their grades. So, why would they want to do homework faster? The question for them is: wouldn’t you like to get a bit more free time? Wouldn’t you want to spend more time with your friends or to enjoy your hobbies? We are certain you would! And this is exactly why you need these homework hacks. As long as you can complete each school chore faster, you get more time to spend however you like. Of course, there are other perks to finishing early. You can get a good night’s sleep every night. You can proofread and edit your essays the right way, securing a better grade for yourself. Over time, you can significantly improve your GPA. This means happy parents and happy teachers – and all the benefits that stem from their happiness. You don’t have too much time before the deadline and it’s clear you won’t finish on time. You have to work on a dozen assignments at the same time, and this is stressing you out. You can’t find free homework anywhere. Who can help you? You are not a native English speaker, but you have to write the homework in English. You are starting to get desperate. Who can do my homework? Before we even get to the homework tricks, remember that your state of mind greatly affects your productivity. If you are burned out or stressed out, you will not be able to finish your school chores faster no matter how hard you try. This is why you must remain positive. Get a good night’s sleep to start fresh on your school assignments. Our tips and tricks will work a lot better when you are not tired. Get organized! Split difficult projects into several smaller parts and work on each part every day until you finish the assignment. Start early! The earlier you start, the more time you get. And more time means a lower workload every day. Take good examples. Why not visit the library and read some journals or essays written by experts? Learn as much as you can from the way these people structure their papers and from the way they express and support their ideas. Work on a single thing at a time and do not try to multitask. This will help you get more free time because humans are not very good at multitasking. Studies show it’s actually slowing us down. Don’t hesitate to ask for help if you want to finish homework fast. There are academic writers online who will help you with your homework – for a small price of course. 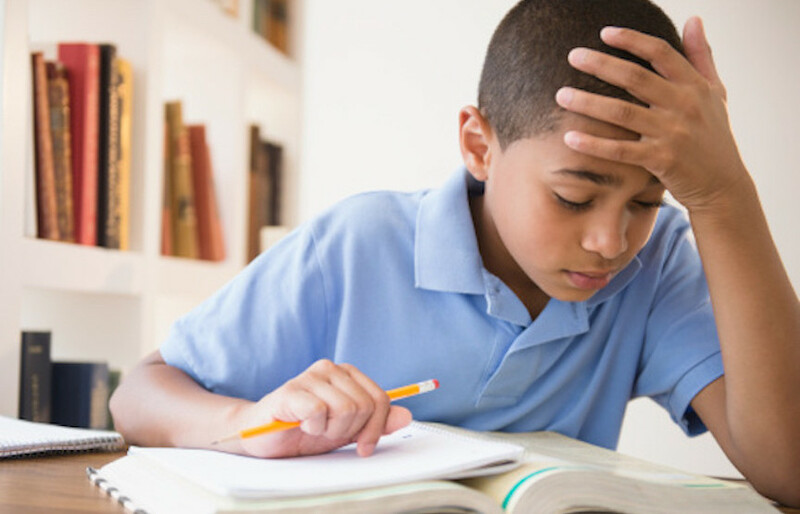 All you have to do to finish homework fast is apply these 5 tips and tricks. It’s is not as difficult as you think. You just need a bit of practice and need to learn how to stay organized even when homework is pouring on your head from all directions. These homework tips will help you get better grades as well, because you will be able to get enough time to do an excellent job on each assignment. Your teachers and parents will be thrilled!